If you are looking to build a fence for your property, there are a lot of options you can choose from. If you know exactly what you want, that’s great. However, if you’re uncertain, you may feel a little overwhelmed by the choices in materials. Many people enjoy the look of a natural wood fence, while others may prefer to explore other options. If you fall in the latter camp, non-wood fencing such as vinyl, composite, aluminium, and PVC are great options to consider. 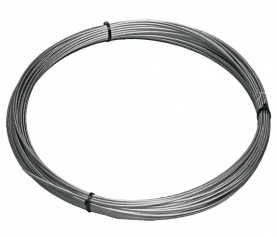 These materials have grown in popularity, since there is less maintenance involved. Here are some important details you should know when making your decision. Vinyl is extremely popular these days. High quality vinyl fences are known to last as long as 40 years. When you are shopping for vinyl, be sure that you get a higher-grade vinyl material. 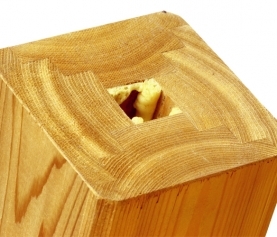 If you get ones that are thin and brittle, structural wood posts are usually needed. 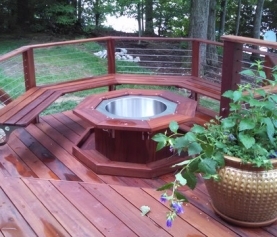 You want to be sure you are getting something sturdy and durable enough to endure a variety of weather situations. Another great feature of vinyl is the color options that are available. Black, dark brown, or even light and natural looking colors are available. So no matter what colors you prefer, a color will be available to fit your specific design style. Wood-plastic composite and cellular-PVC fences are made of solid pickets and rails, as well as sleeves that are designed for being laid over treated 4×4 posts. 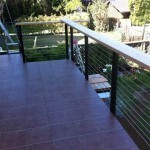 Composite fencing is quite costly and very heavy. If you don’t want a heavy material, cellular PVC is a good alternative. 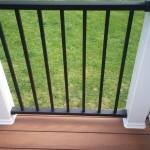 It can be up to 40 percent lighter than composite fencing, but it can compromise the rigidity of pickets. Aluminium fencing is a very affordable option for people looking for an alternative to traditional wood. It costs less than wrought iron fencing, it won’t rust like iron, and it requires little to no maintenance. These fences are not only beautiful, but they provide great security for your family or commercial property, since they can’t be cut or scaled easily. Many aluminium fences come with lifetime manufacturer’s warranties, too. No matter how big or small your space is, fencing plays a big role in the overall look, feel, and safety of your property. Set a budget for your fencing project and research your options to decide which material best fits your personal preferences and budget.